What could be better than combining the cosmopolitan buzz of New York with the glitz and glamour of Las Vegas. Begin with a stay at the cool and contemporary Royalton Park Avenue, located in the heart of Manhattan. Here you will find an uber-cool rooftop bar, with stunning views of the Empire State Building, where you can enjoy a cocktail late into the night. There is also a highly-regarded Italian restaurant and the Exhale Spa where you can take a rejuvenating treatment. Then fly to Las Vegas, the Entertainment Capital of the World. The hotel we have chosen here is the contemporary Aria, but if you'd rather stay in the Bellagio, the Wynn or any of the other luxurious hotels in Vegas, just let us know. 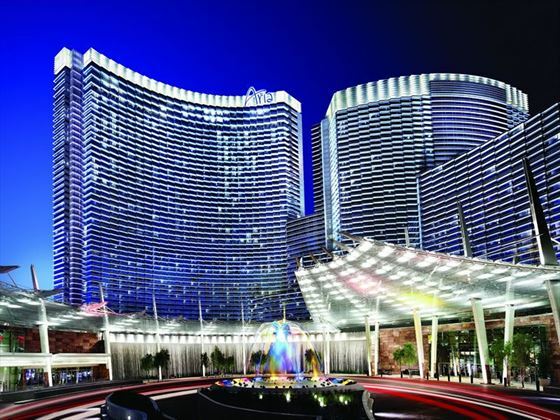 The Aria is in a central location just off The Strip, and offers an incredible array of restaurants and bars. The hotel is also next door to The Crystals - a unique shopping and entertainment complex, so you don't have to venture far for fun. 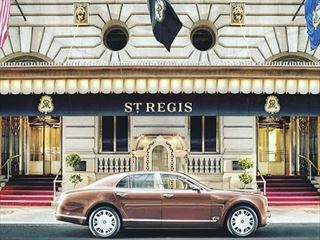 Fly to New York and transfer independently to the Royalton Park Avenue for your three night stay in Manhattan. This cool, contemporary hotel is right in the middle of Manhattan, with endless shopping, eating, drinking and entertainment opportunities. 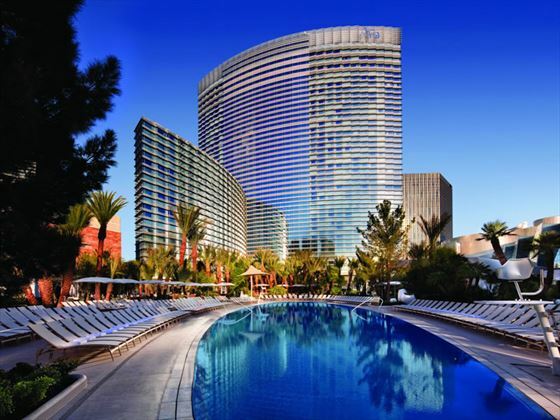 Fly to Las Vegas and transfer independently to the Aria Resort, where you will find an incredible choice of restaurants, bars and lounges all within this lavish hotel, not to mention the casino, nightclub, spa and beautiful pool area. 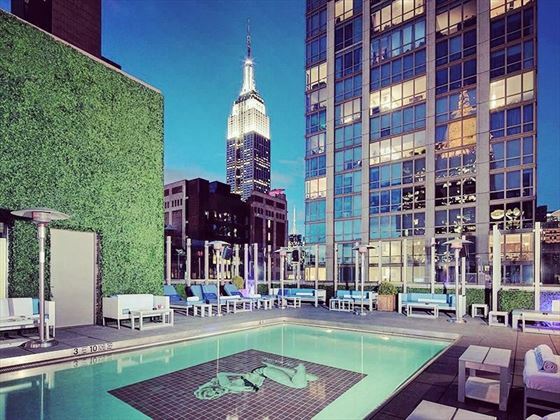 A stylish hotel sitting only a couple of blocks from the Empire State Building, Royalton Park Avenue (previously the Gansevoort) offers lavish accommodation in a prestigious location. If you can drag yourself away from the indulgent comfort and attentive service of this hotel, you’ll find it perfect for exploring the sights and attractions of New York City. One of the hotel’s finest features is the uber-cool rooftop bar which enjoys a stunning view of the Empire State Building and Manhattan beyond (although you’ll probably spend more time people-watching). You can also dine on delicious Italian dishes in the elegant Ristorante Asellina or visit one of the nearby restaurants; Manhattan features almost every imaginable cuisine. Make use of complimentary Wi-Fi to stay in touch, visit the Exhale Spa for a rejuvenating treatment or take a dip in the rooftop pool with its fabulous views over the city. The Aria, with its magnificent modern architecture, is a destination in itself, with an incredible choice of restaurants, bars and lounges all within the lavish hotel campus, not to mention the casino, nightclub, spa and beautiful pool area. Located in a central location just off The Strip, next to the unique shopping and entertainment complex The Crystals, this is a fabulous choice for a luxurious stay in Vegas. Guest rooms feature floor-to-ceiling windows, and are furnished in a relaxed, comfortable style, located on 61 floors in one building. They are a tech-lovers dream, with all the latest gadgets and personalised automation. Three ellipse-shaped pools are spread across the palm-tree lined deck, perfect for relaxing around. Or if you’re ready to party, just head to the Liquid Pool Lounge, a walled off day club to the back of the pool area where the DJ will keep the music flowing along with the cocktails.